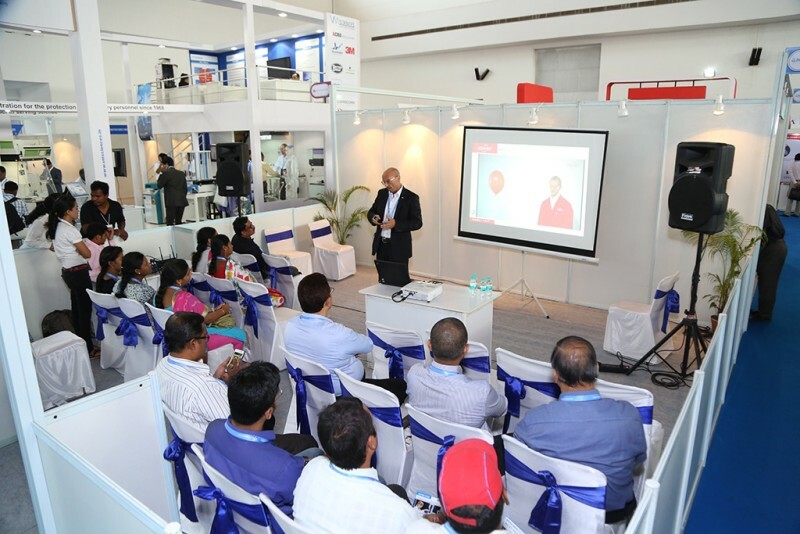 analytica Anacon India and India Lab Expo, leading trade fairs for laboratory technology, analysis, biotechnology and diagnostics is scheduled from October 20 to 22 at the HITEX Exhibition Center, Hyderabad. The trade fairs will bring together manufacturers, suppliers, business experts and buyers on a common platform for business, learning and networking opportunities. More than 230 global and domestic exhibitors from 11 countries will be showcasing over 2,500 solutions and technologies pertaining to laboratory, analysis, biotechnology and diagnostics. Alongside the event, the analytica Anacon India conference will focus on regulatory aspects for pharmaceutical laboratories, bioanalysis and bio-pharmaceuticals, food safety and clinical diagnosis. About 18 technical topics will be covered and will highlight the latest industry trends, techniques and methods to bridge the gap between science and industry. Further, a live demonstration from the experts from asecos on ‘Laboratory Safety’ will feature topics like safety at workplace and how to avoid accidents in the laboratory. Another exciting visitor attraction is the ‘Live Lab’ demonstration where attendees can see laboratory devices and their applications and solutions live in action. All of these accompanying programs will be taking place from October 20 to 22 and will be open to all trade visitors. Face to face meetings between buyers and sellers will be taking place as part of the ’Buyer Seller Forum’ aimed at offering a conductive business environment for business buyers. After the success in the past edition, where an estimated business worth INR 425 Cr. was negotiated during these meetings, about 350 top decision makers and VIPs are again participating this year. The Buyer Seller Forum offers a strong value proposition to the participants by connecting them with a potential business associate. The event has also garnered strong support from leading bodies such as the Indian Analytical Instruments Association (IAIA), Pharmaceuticals Export Promotion Council of India, Ambala Scientific Instruments Manufacturers Association (ASIMA), Bulk Drug Manufacturers’ Association (BDMA), Federation of Small & Medium Enterprises (FSME INDIA), Indian Chemical Council, Indian Drug Manufacturers’ Association (IDMA), National Small Industries Corporation, Swiss Business Hub India, German Hightech Industry Association (SPECTARIS), Telangana Chambers of Commerce and Industry (TECCI) and The Federation of Telangana and Andhra Pradesh Chambers of Commerce and Industry. 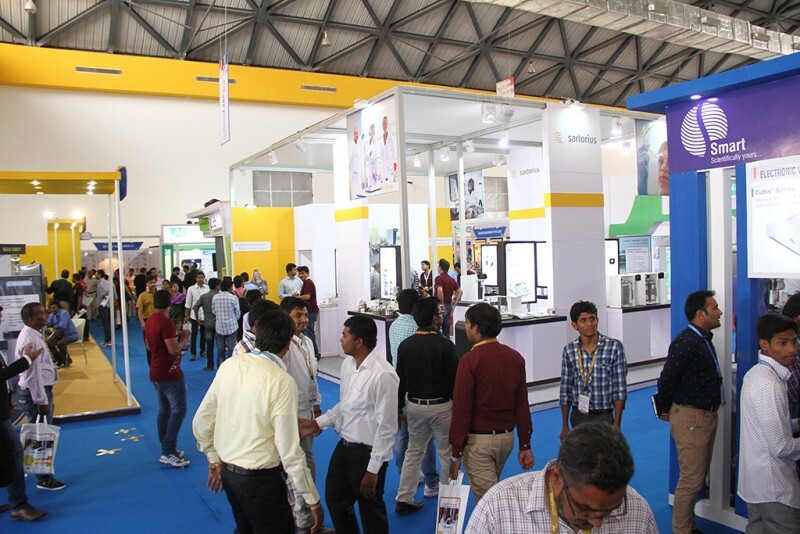 Some of the leading companies participating at the fairs include Abdos Labtech, AJ Instrument India, Akshaya Scientifics, Art Lab Equipments, Brand Scientific Equipment, Eppendorf India, Glassco Laboratories Equipments, Hindustan Platinum, Metrohm India, Perkin Elmer, Shimadzu Analytical India and Waldner India.